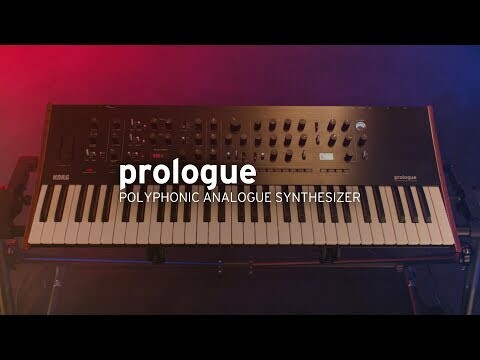 The Korg Prologue 16 is a stunning new analogue synth from the masters that gave us the Minilogue, Monologue and Odyssey synths in.. 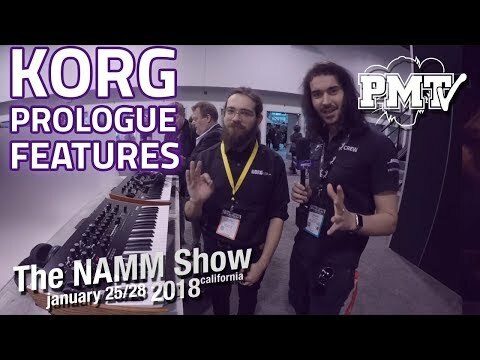 The Korg Prologue 16 is a stunning new analogue synth from the masters that gave us the Minilogue, Monologue and Odyssey synths in recent years. 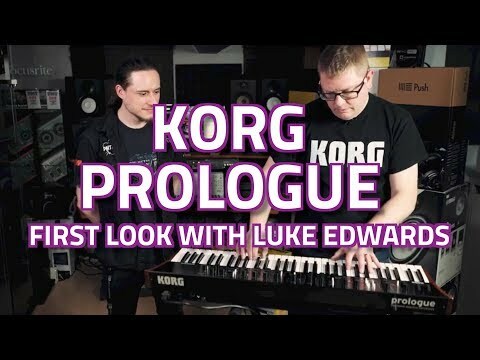 The Korg Prologue 16 is the perfect choice for those that want the full power and capability of Korg's latest effects, bigger voice pallette and a wider range of keys for the stage. Korg Prologue 16 represents the new generation of analogue programming for Korg - a fully user customizable synth that combines a full-sized 61-note keybed, DSP effects and a new 16-voice polyphonic, multi-timbral synth engine. 4 voice modes, Noise Generator, FM Oscillator and a built-in Arpeggiator give the Prologue unprecedented sonic capability. Designed to maximize the dynamic range and signal consistency for live stage performances, this exclusive new effect compresses and boosts the signal of the Korg Prologue 16 in a natural, authentic way. Without over-processing, the analogue circuitry adds presence and depth to your sounds that you can't get from a simple EQ tweak. The Comp also features a very cool VU-style meter for additional visual feedback. 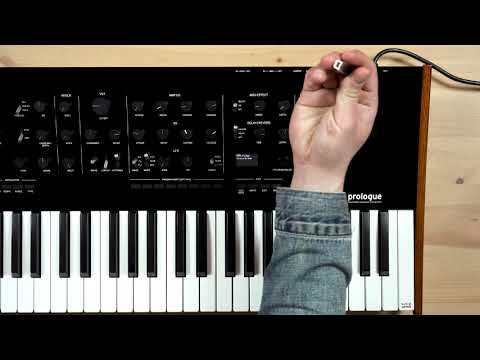 Korg Prologue 16 provides 4 independent voice modes that completely re-define the possibilities for a poly synth of this size. In standard POLY mode, you get up to 16 note polyphonic playback as expected. 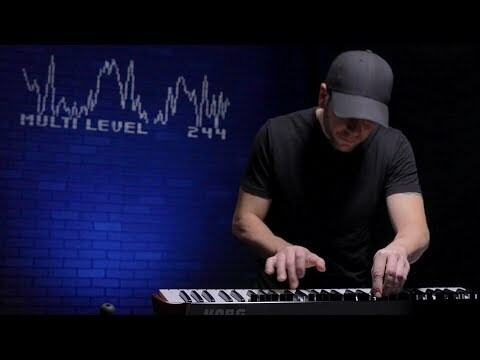 MONO mode can be used in conjunction with a sub-oscillator for powerful sub bass performance, one note at a time. UNISON offers a much thicker, warmer lead synth sound by combining all voices together. Finally, CHORD is a brand new play mode that offers complex chords to be played with one finger. You can also blend the intensity of these modes by using the DEPTH knob. The Korg Prologue 16 is a two-timbre synthesizer that lets you play two different programs simultaneously. In addition to layer and split, you can use crossfade to smoothly transition between the main timbre and sub timbre. Traditionally, analogue synths can be clunky to use and find the right sound. Preset Management is made super easy on the Korg Prologue 16, courtesy of eight programme sorting methods. You can sort by category, alphabetical order, use LIKE to view the programs that you marked as your favourites, FREQUENT to sort the programs in order of their frequency of use, or ENVELOPE to sort the programs in order of their envelope shape (note duration). Thanks to a Japanese-made, natural touch keybed and oak wood side panels, Korg Prologue 16 is expressive for studio and live performance, eminating the feel of a boutique synthesizer with a classic look.